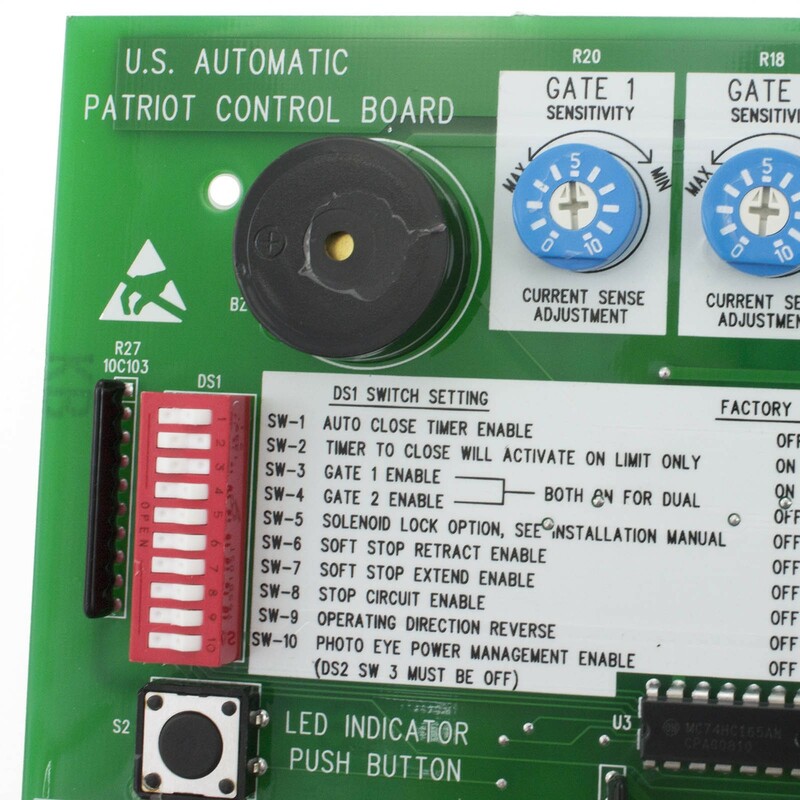 Control board for Patriot gate openers. 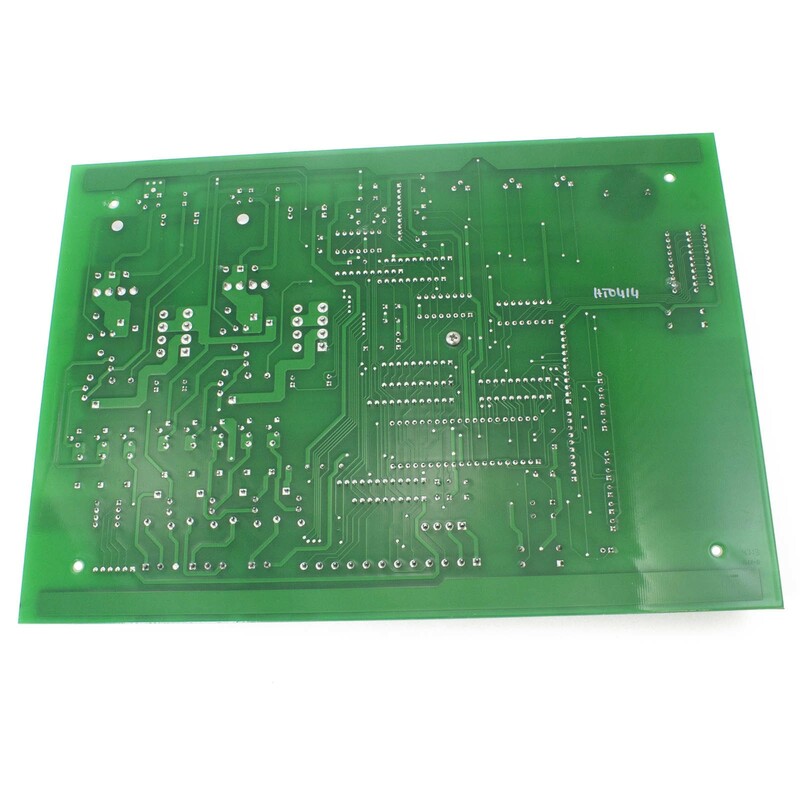 This control board is no longer available & has been replaced by 500016. The Patriot I, Patriot II and Patriot RSL use the same control board. 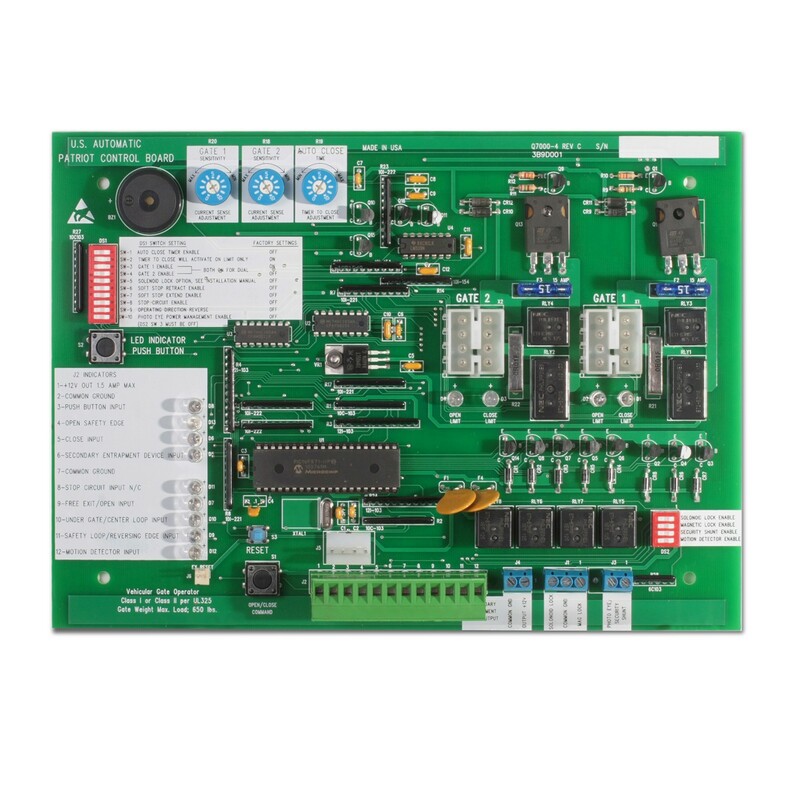 Board features built in precision management for timing and dual operators with independent sensitivity adjustment capability. 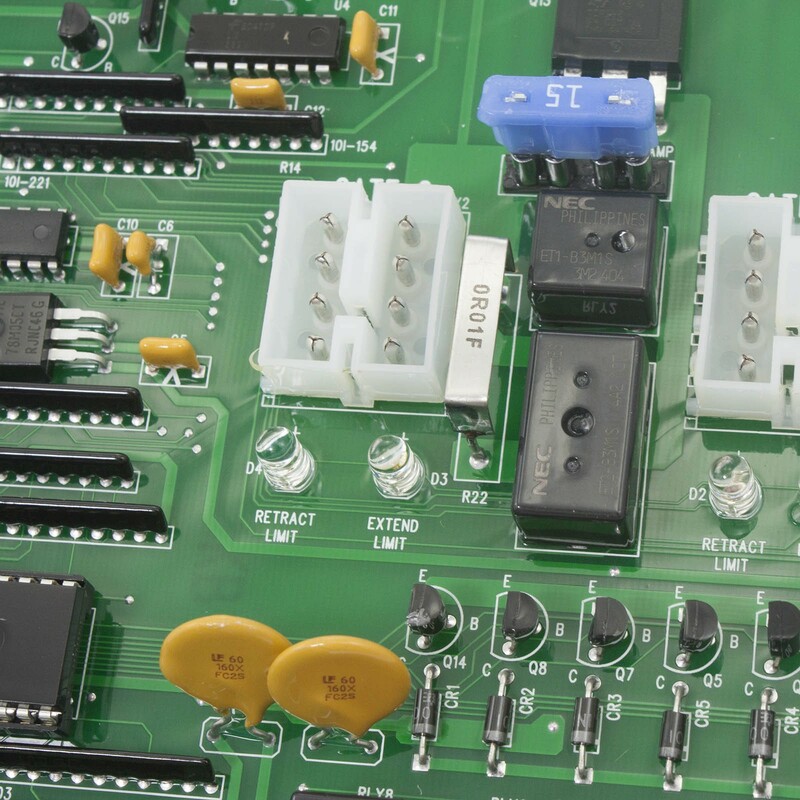 Note: This control board has been replaced - you will receive part number 500002. 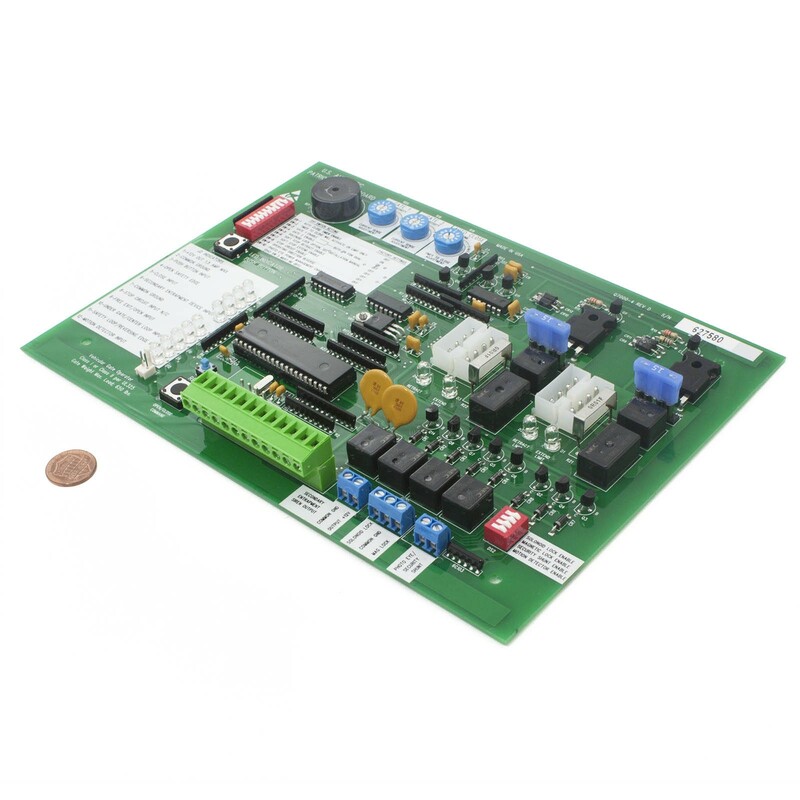 This is a direct replacement for the USAutomatic 500001 control board with new UL 325-2016 safety features. *Photo Eyes are not required if Pre-2016 Jumper is installed.